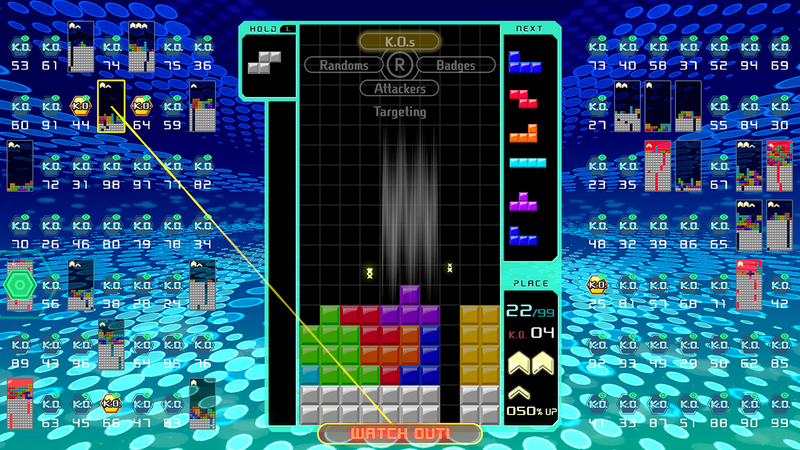 The classic puzzle game Tetris turns 35 in 2019, and while the brand never really went away (tons of Tetris video games have been released over the years), the iconic franchise has seen a resurgence in popularity with the recent release of Tetris Effect and Tetris 99, both of which received positive responses from fans young and old. In honor of the game’s 35th anniversary, multiple fashion and beauty companies will release Tetris-themed clothing, accessories, and more this year. Whether you’re a parent who grew up playing Tetris, or know a teen who’s fallen in love with Tetris 99, these items will let your family celebrate the franchise in unique ways. Here’s a preview of all of the collections that will be released in 2019, based on where they’ll be available to purchase. FairPlay, a clothing company based in Los Angeles, will release Tetris-themed graphic t-shirts, hoodies, and sweatpants. Beauty company ipsy will release a Tetris x ipsy Glam Bag and cosmetic collection. Kanga Care, which creates cloth diapers and other accessories for baby, will launch Tetris-branded diapers, diaper covers, blankets, changing pads, and other items. Sock It to Me, a clothing company that creates items like socks and underwear, will release Tetris-themed socks for both men and women. Clothing and accessories company Baroque Japan will launch a Tetris 35th anniversary t-shirt collection in Japan, which will also be available at the company’s Soho New York City location, in June 2019. Fashion brand Peacebird will release a Tetris capsule collection for its Peacebird Women label, which will include dresses and tops. GXG, a men's fashion retailer, will launch its Tetris-themed collection this summer. Beachwear company MC2 Saint Barth will introduce board shorts for men that feature Tetriminos, the shapes that fall from the top of the screen in a game of Tetris.